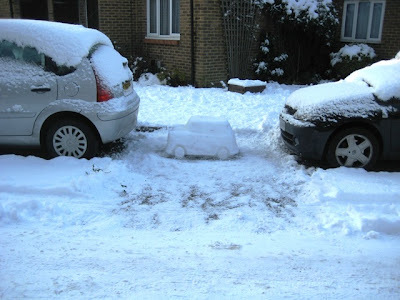 Wissy's blogspot: The Snow Car. 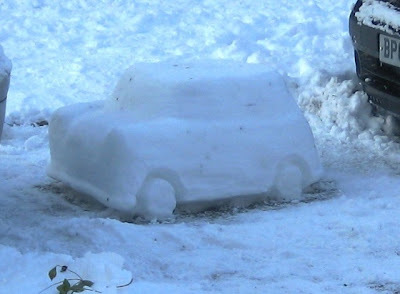 We were out for a walk in the snow last week (more photos and a separate blog to follow) when by chance I came across this really clever snow sculpture of a Mini in one of the streets near my home. 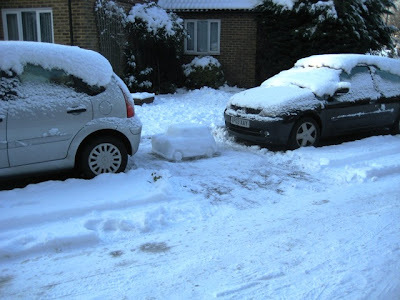 Although it was beginning to thaw the amazing detail was still discernable. For some reason it made me smile and feel uplifted. I just had to take a photograph and share the moment with all of you.